Take a musical journey across the alps to explore the vibrant music cultures of two rich, interconnected, yet diverse cities in the seventeenth and eighteenth centuries: Venice and Hamburg. 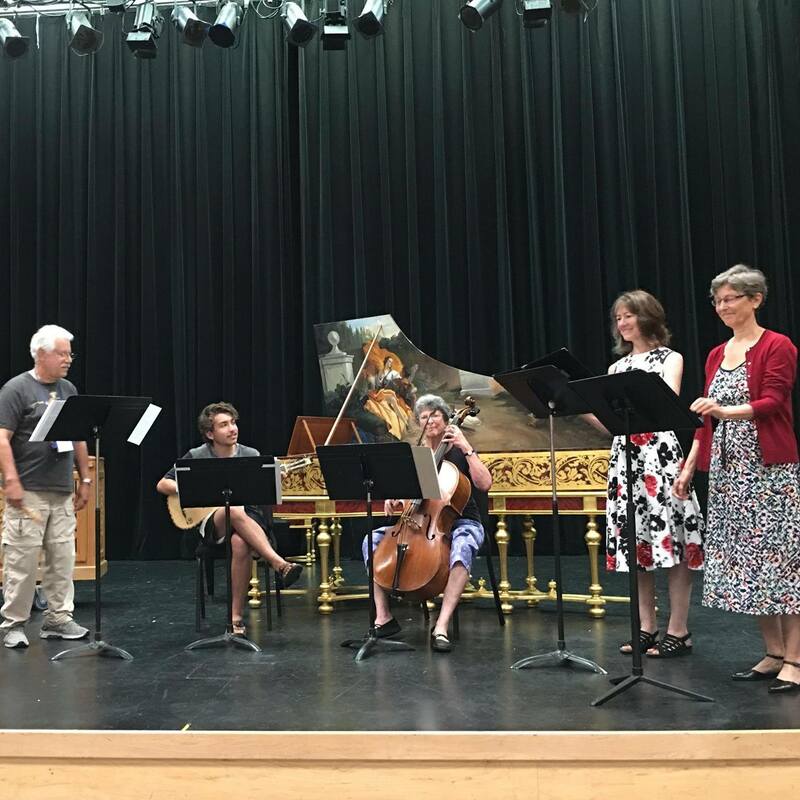 Work with our internationally acclaimed faculty on exploring repertoires from both, accompanied with finely-crafted harpsichords, organs, and lutes. Take classes in performance practice, ensemble skills, chamber music, lute song, larger ensembles, dance, and enjoy the exquisite Brombaugh Organ in the Green Music Center’s Schroeder Hall. Recorder players, violinists, singers, flautists, gambists, cellists, keyboardists, lutenists, and double-reed players will be challenged and encouraged by our engaged and internationally recognized faculty. For early brass and others with a penchant for seventeenth-century music, work on repertoire of seventeenth-century sacred music from Hamburg and Venice. 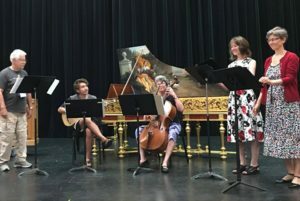 The SFEMS Baroque Workshop opens its doors to dedicated musicians and emerging young professionals seeking to be inspired and challenged for a week of intense music making and enjoyable social exchange. In addition to the smaller ensemble playing opportunities, participants can join the recorder band, oboe band, the orchestra, and the brass and voice ensemble for large-scale repertoires! Music of Hamburg and Venice: The overt expressiveness and influence of music-making in Venice on the northern regions including Hamburg during the seventeenth and early eighteenth centuries serves as the background for many compositional developments and exciting stylistic trends. Seminal Baroque composers Georg Philipp Telemann, influential in the musical life of Hamburg, and Antonio Lucio Vivaldi, active in Venice, are just two examples of many on which this repertoire builds. In addition to our focus on eighteenth-century music, we offer a specific focus on seventeenth-century music. Virtuoso cornettist Bruce Dickey will direct the sumptuous polyphonic and polychoral music of Giovanni Gabrieli, Francesco Usper, Johann Schop, Johann Sommer, William Brade, and others. Our workshop provides a friendly and supportive atmosphere for both the dedicated amateur and the semi-professional musician. Our faculty of specialists in the field of early music includes internationally known performers and gifted teachers. Our week of concentrated playing and learning will be filled with beautiful works and interspersed with social gatherings with like-minded players from all around the country. These activities culminate in a night and a morning of very high-level student performances. Participants leave the workshop replete with new musical ideas, with new repertoire under their belts and new friends for future music making! Pitch: The strings and winds are at 415Hz. The brass will play at 440Hz for the vocal/brass ensemble project and play at 465Hz and transpose down one tone for some chamber ensembles. For brass participants who do not play at 465Hz we will create one or two chamber ensembles at 440Hz to serve your needs. These ensembles will be either unaccompanied or accompanied by the continuo organ at 440Hz. If you are an EMA or ARS member and NOT a SFEMS member, you MUST contact SFEMS prior to registering at workshops@sfems.org to receive this discount. 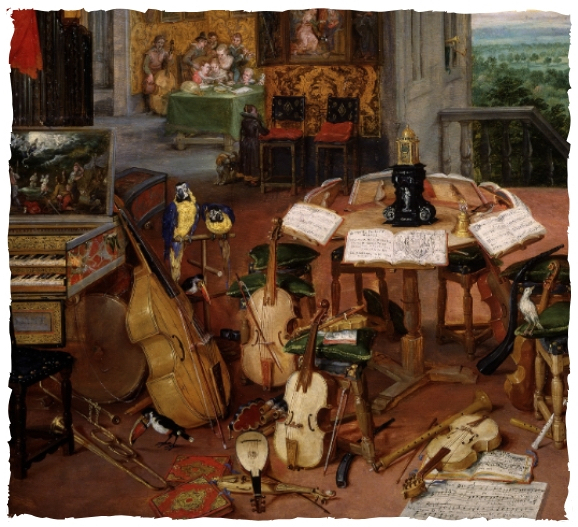 As a member of the San Francisco Early Music Society, you will receive workshop tuition discounts, discount concert series tickets, your name in our program book, and our weekly e-newsletter with the latest in Bay Area early music news and event listings. You will also be a part of one of the oldest and most influential early music organizations in North America. To join SFEMS or to update your membership status, please CLICK HERE to join prior to registering for this workshop to receive your member discount. You must join as a member prior to registering to receive this discount. If you are already a SFEMS member, your discount will apply automatically when registering.